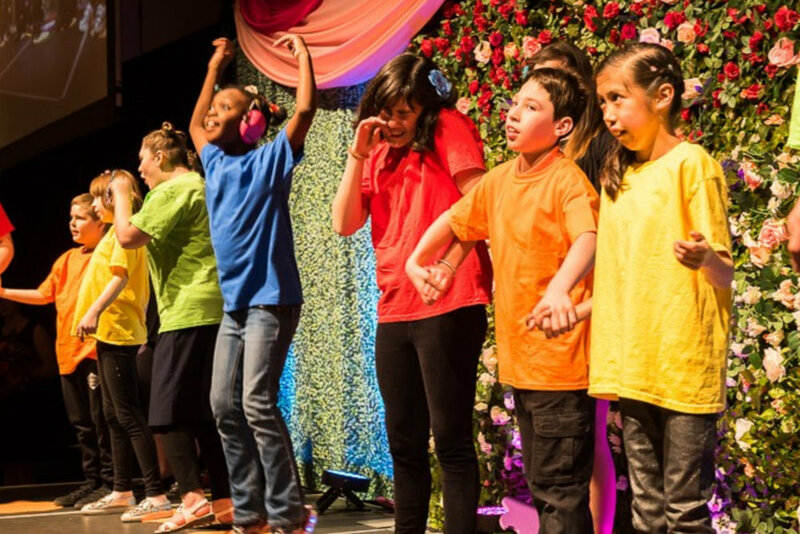 We were all feeling spring fever and excitement for the 2019 Spring Gala ‘Janus in Bloom’. Guests were treated to a ‘spot on’ three course meal. We donned our finest fascinators and top hats while we bid on prizes in Calgary’s largest silent auction! As always, our balloon pop, raffles and heads and tails games were ‘jolly good fun’. We are proud to support Calgary’s most dedicated parent volunteers and educational innovators again in 2019. Check out the photos from the big night! Students, families, staff, and Vida Events all agree: there’s no place like Janus! Over 400 guests put on their ruby slippers and joined us at the Janus Academy Annual Spring Gala. This stylish, entertaining evening celebrated Janus students, and encouraged community support through a silent auction, balloon pop, and so much more. Funds raised through this event support the academic success and lifelong community integration of students with autism. Watching the Janus Academy Student Choir conduct a live performance of Somewhere Over the Rainbow left no doubt of the positive impact this magical evening can have. Vida Events wishes a heartfelt congratulations to the amazing students, gala committee, and parent volunteers on this successful journey to Oz! We were so honoured to work with the most dedicated parent volunteers and educational innovators in Calgary! Dauntless in the face of Autism’s diverse challenges they approach fundraising with persistence, positivity and a sense of humour. Empowering students to thrive is one of the best ways to fulfill our mission to be a catalyst for change. 2017 marked the 20th Anniversary of the Janus Academy's Spring Gala. It was a night of magic, fun and robust community support. The Janus Academy is a ground breaking educational and community leader that enhances the lives of children with autism, their families and the communities in which they live. By delivering excellence in teaching, increased student-teacher ratios, individualized curriculum and innovative teaching techniques Janus Academy maximizes the potential of each child with autism. Every spring teachers, parents, friends and community leaders gather in support of Janus Academy’s exemplary work. In a fun-filled, evening of games and prizes. This year guests were treated to an elegant, memorable night. A 50 bottle wine raffle, 50/50 draw, silent and live auction and our signature balloon pop are all the exciting ways that we raised funds to ensure a bright future for our youngsters with autism. Check out the photos. Please visit the Janus Academy website for more info.